In this tutorial, we will learn how to install and configure Snort NIDS on an Alibaba Cloud ECS Ubuntu 16.04 instance. By Hitesh Jethva, Alibaba Cloud Tech Share Author. Tech Share is Alibaba Cloud’s incentive program to encourage the sharing of technical knowledge and best practices within the cloud community. Snort is a free, open source and one of the most commonly used signature-based network intrusion detection system (NIDS) that monitors the package data sent and received through a specific network interface. Snort performs protocol analysis, content searching and matching, real-time traffic analysis and packet logging on Internet Protocol (IP) networks. You can determine the most recent strikes, malware infections, compromised systems, and community policy violations using Snort. Snort comes with a powerful set of features like, detection of buffer overflow, stealth port scan, CGI Attacks and other thousands of worms and vulnerability attempts. 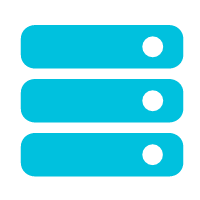 Snort is lightweight, so you can easily installed it on the smallest cloud server instances. In this tutorial, we will going to learn how to install and configure Snort NIDS on an Alibaba Cloud Elastic Compute Service (ECS) Ubuntu 16.04 instance. A fresh Alibaba cloud instance with Ubuntu 16.04 server installed. A static IP address 192.168.0.103 is configured on the instance. A root password is setup on the server. First, login to your Alibaba Cloud ECS Console. Create a new ECS instance, with Ubuntu 16.04 as the operating system with at least 2GB RAM. Connect to your ECS instance and log in as the root user. Once DAQ is installed, you can proceed to install Snort. By default, the latest version of the Snort is not available in the Ubuntu 16.04 repository. So, you will need to download Snort source and compile it. Copyright (C) 2014-2017 Cisco and/or its affiliates. All rights reserved. Sniffer Mode: In this mode, output will dump to the terminal. You can see packets in continuous flow in live mode. Packet Logger Mode: In this mode, output will be stored in the disk. You can monitor it later. Network IDS Mode: In this mode, some parameters are configured that allow snort to match defined parameters while scanning the network. In this tutorial, we will configure Snort for Network IDS (NIDS) Mode. Snort successfully validated the configuration! Snort is now installed and configured, it's time to test Snort. Save and close the file, when you are finished. Snort is now up and listening on interface eth0. Note: 192.168.0.103 is the IP address of the Snort server. You can stop Snort at any time by pressing Ctrl+C from your keyboard. May 15 21:31:31 Node1 systemd: Started Snort NIDS Daemon. Congratulations! You have successfully installed and configured Snort NIDS on Ubuntu 16.04 server. You can now monitor any connection attempt made to your server. Alibaba Cloud Anti-DDoS Basic is a cloud-based security service that integrates with Alibaba Cloud ECS instances to safeguard your data and applications from DDoS attacks, and provides increased visibility and control over your security measures. 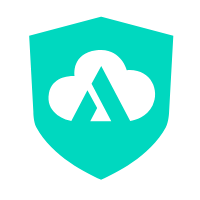 As an Alibaba Cloud global service, Anti-DDoS Basic enables you to meet stringent security requirements for your cloud hosting architecture without any investment. This service is available to all Alibaba Cloud users free of charge. Alibaba Cloud Server Guard protects servers from various malicious attacks by installing a lightweight agent on the server that provides cloud threat information linkage. 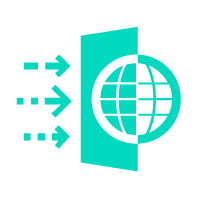 It also provides real-time alerts in case of suspicious logins, and safeguards the servers from the website backdoor attacks. The product is easy to use and setup, and provides you with complete overview and analysis of your website and systems. This helps you increase the efficiency of your mission critical applications. CloudMonitor is a flexible monitoring service that provides in-depth insights into your cloud deployments. CloudMonitor provides advanced analytics on critical metrics such as CPU utilization, latency and also lets you customize metrics specific to business requirements. You can closely monitor your resources in real time including ECS (Elastic Compute Service), RDS (Relational Database Service), Server Load Balancer, Block Storage volumes and tweak deployments to optimize performance and save on operational costs. CloudMonitor also provides a solution that adds another layer of security to your cloud deployments as it can detect intrusions and security breaches according to the metrics you define. This can raise an alarm that you set through Social Networking Service (SNS), Social Messaging Service (SMS), Instant Messenger (Ali Trade Manager only) and/or email.